During a recent stop in New Orleans, we had a chance to sit down with Said The Sky as he headlined Zoolu, an annual event held in New Orleans during Mardi Gras. Trevor Christensen aka Said The Sky has easily been one of dance music’s rising stars over the past three years. The transition from mid-tier support artist to headlining venues across the country has been swift, but not without merit. 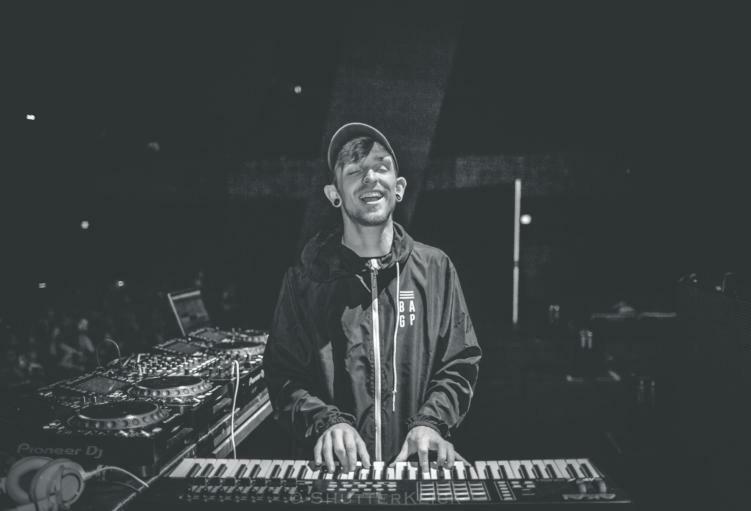 Said The Sky continues to release countless hit after hit, including massive singles ‘Daring’ ft. Missio, ‘Rush Over Me’ with Seven Lions, and his most recent collaboration: ‘Where’d You Go’ with his good friend Illenium. His melodic and vibe-inducing music resonates with listeners, and his down-to-earth personality makes it almost impossible not to be a fan. This is why Trevor was an easy choice for our first edition of this series. What is 90 Seconds with River Beats?! We launched this program because we feel there aren’t many other media publications pushing the boundaries in dance music. The aim of ’90 Seconds with River Beats’ is to bring the human behind the artist name to the forefront, and for artist and fans to get to know each other better. The entire series was inspired by The Fader’s hit web series “Everything You Need to Know,” which takes an inside look at the life and careers of some of rap and hip-hops biggest names. We hope you enjoy our brand new series. New episodes featuring Ducky, CRWNS, and Droeloe will be available very soon.